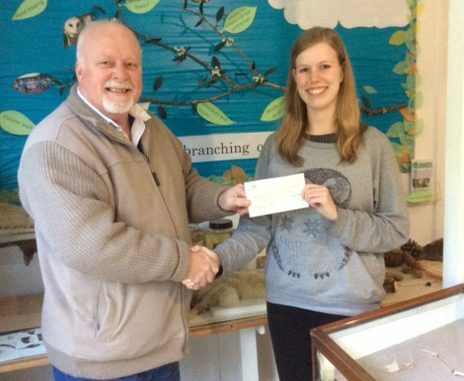 A donation of £1,000 has been made to Monkton Nature Reserve by Ramsgate Town Council following a burglary at the site last month. Burglars targeted the reserve – stealing cash and causing hundreds of pounds worth of damage – on February 20. The site is run by Thanet Countryside Trust charity. Intruders kicked open doors, cut CCTV cables, sheared locks off of outbuildings and ransacked offices. The petty cash box was also broken into. Councillors unanimously agreed to help the reserve at a meeting earler this month. A spokesman for the town council said: “Ramsgate Town Councillors agreed to contribute £1,000 from their ward grant funds as donation to the nature reserve. This means that not only can the nature reserve repair the damage it received from some thoughtless vandals, but it will receive additional money to continue the educational work, that benefits many Ramsgate students. “This is but one example of how a local council can assist voluntary groups with relatively small sums of money paid out with the minimum of bureaucracy, but with full transparency. Police are investigating the break-in at the field study centre which took place between 3pm on Monday 20 February and 9am on Tuesday 21 February. Offenders gained access through a window. Officers are appealing for anyone who saw any suspicious behaviour in the area during the relevant times, or who has information about the burglary, to contact them. They are also keen to hear from anyone who saw a white Vauxhall Vivaro van in the area on the afternoon of Sunday 19 February. If you have any information please phone Kent Police on 01843 222289 or Kent Crimestoppers anonymously on 0800 555111 quoting reference number ZY/6924/17.